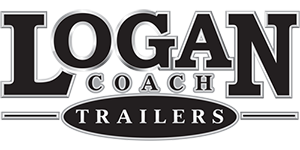 We are a horse trailer dealer for Platinum Coach, Sooner, Exiss, Merhow and Wilson brand horse trailers and stock trailers. We specialize in living quarter horse trailers and carry stock trailers, stock combo trailers, and show animal trailers as well. Additionally, we have used horse trailers in inventory. We have been in business and under the same ownership since 1998. At Rolling M, we believe in providing you, our customers/friends, with an exceptional experience, whether you are purchasing a horse trailer or having your horse trailer serviced. We offer a full parts and service department with a dedicated service manager to ensure that your needs are met in a timely and professional manner. Regardless of budget, we believe that when you come to Rolling M, you should get more horse trailer for your money than you would anywhere else. Therefore, we diligently work to provide horse trailer brands and models to accomplish this objective. We not only sell our horse trailers, but use them as well, so we know what models and options will serve you the best. Additionally, we work with our pro team to determine the options and features that work best day to day out on the road. If you are looking for knowledgeable advice in order to purchase the correct trailer that fits you the best, you have come to the right place. We look forward to providing you with an exceptional horse trailer and a fun experience!